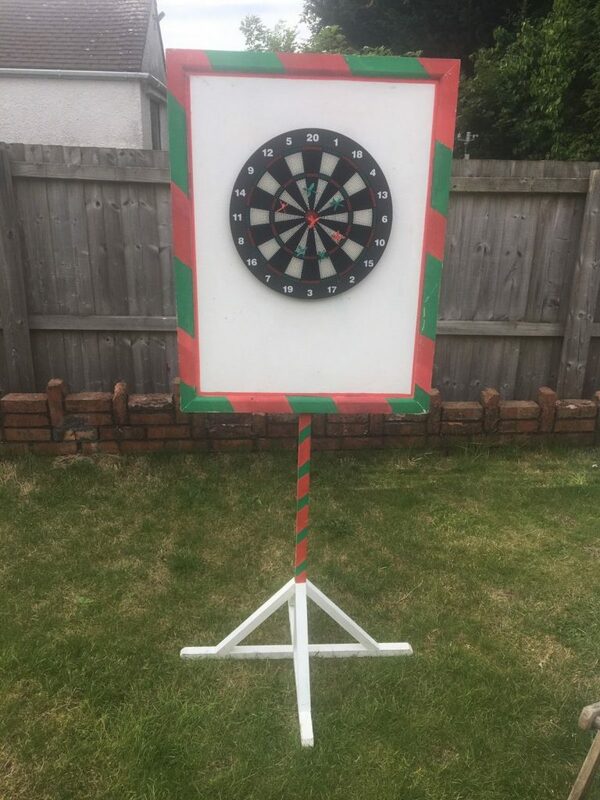 Large free-standing wooden darts game which is ideal for weddings, fetes, fun days, etc. Plastic darts (with no metal tip). Top part of game is 70cm x 91 cm.